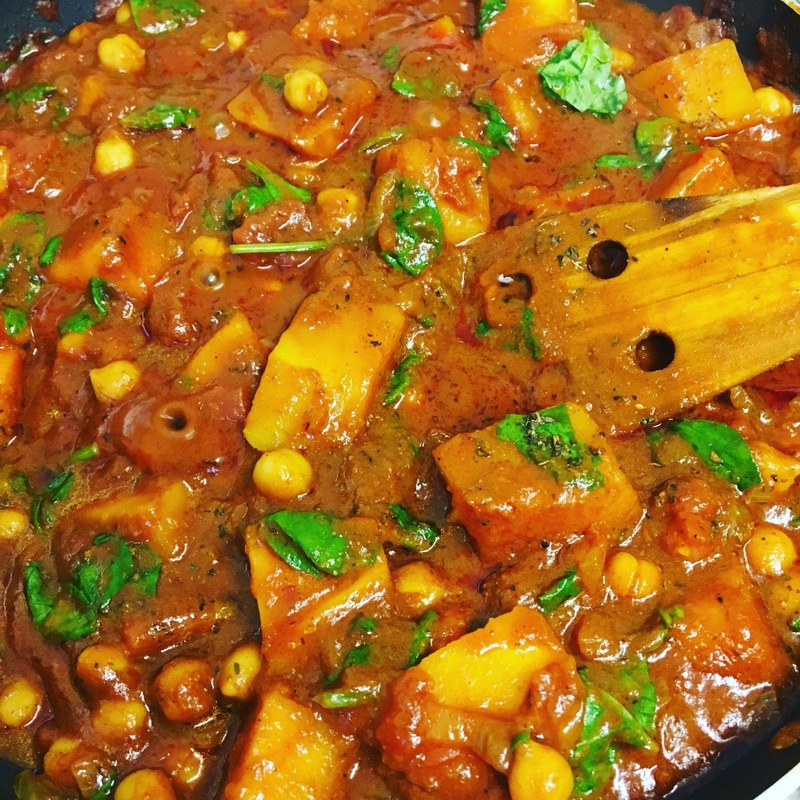 As a mummy who was given a huge kick up the bum by her partner to finally go vegan as I’ve been threatening for years, I thought I would share my favourite vegan recipe for any other undecided people out there. This one is fab, because you can get so many vegetables into it, and it’s even a hit with my little 15 month old (today) Olivia. 1. Add 1 cup of rice to 2 cups of cold water and put the pan on a low heat. Do not let the rice boil, and keep it moving to avoid it sticking to the bottom of the pan. 2. Rice takes a while to cook, so keep checking back with it. When it’s ready, drain it and cover over with a teatowel to absorb the excess moisture. 3. Stir regularly for about 5 minutes or until the onion starts to soften and turn clear, then add 3 tablespoons of curry paste (if you’re not vegan, don’t worry about making sure it doesn’t contain milk or eggs, but if you are, you may need to find a vegan subsitute). 4. Mix the curry paste in well, making sure to cover all of the squash and the onion, keep stirring for a couple of minutes. 5. Add 300ml of vegetable stock and make sure there are no lumps of curry paste. Keep stirring and add the tomatoes. Let it simmer on a low heat for about 5 minutes. Don’t let it start to boil! 6. Add in some tomato puree. You can add as much as you like depending on how thick you want your curry sauce. Then add in some black pepper and basil for seasoning. 7. Drain the chickpeas and add them into the mixture. Let the pan simmer for another 5-10 minutes. 8. Tear up a few handfuls of spinach sprinkle into the mixture. Remember, spinach reduces when it’s cooked, so add in slightly more than you think you need. Keep the curry simmering for a couple of minutes to heat it through. 9. Plate up the rice when it’s ready, and then pour the curry on top! If you’re still waiting for the rice to cook, keep the curry on a low heat until it’s ready. I hope you enjoy trying this one out. You could also add in carrots and peas to get all of your 5 a day in one meal, but this is healthy enough already, and ridiculously tasty! Thanks for your comment! We love it in our house and it’s a sure way to get your 5 a day in one meal – even the kids love it!